Ever since Hailey soldier Bowe Bergdhal was captured by Taliban militants more than two years ago in Afghanistan, U.S. military officials have said they are doing everything they can to secure his release. The Associated Press reported this week that secret talks between U.S. and Taliban negotiators in 2010 and early this spring were headed toward the possible release of Bergdhal, until Afghan President Hamid Karzai publicized the meetings, sending Tayyab Aga, a key Taliban negotiator, into hiding in Germany. "The U.S. acknowledged the meetings after Karzai, who apparently fears being sidelined by U.S.-Taliban talks, confirmed published accounts about them in June. ..." reported Anne Gearan and Kathy Gannon of the AP. The AP report states that U.S. negotiators and Aga discussed the possibility of Bergdahl's release and the possible release of Afghan prisoners at Guantanamo Bay, Cuba, and in Afghanistan at Bagram Air Field. "Perhaps most importantly they [the talks] offered the tantalizing prospect of a brokered agreement between the U.S. and the Taliban—one that would allow the larger reconciliation of the Taliban into Afghanistan political life to move forward," the AP reported. Bergdahl's freedom may have been sacrificed in a power play between the U.S. and Afghan leaders. The AP reported that a Western and an Afghan official said the reason for the leak was Karzai's "animosity" toward the U.S. and fear that any agreement tat Washington brokered would undermine his authority. The AP reported that concessions discussed during the secret talks included treating the Taliban and al-Qaida differently under international sanctions. "The Taliban had argued that while al-Qaida is focused on worldwide jihad against the West, Taliban militants have focused on Afghanistan and have shown little interest in attacking targets abroad," the AP reported. "As the Afghan war slides into its 10th year and Washington plans to withdraw its combat forces by the end of 2014, a negotiated settlement between the Karzai government and the Taliban has become a stated goal for the United States." 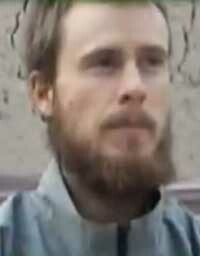 Bergdahl—whose family resides west of Hailey—was captured by the Taliban in the summer of 2009.